Are you getting wintered-out and wish you could escape to the tropics? 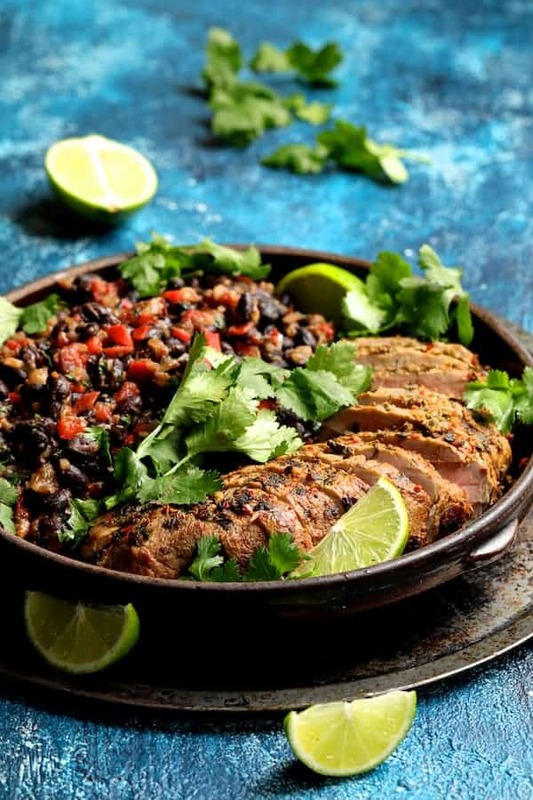 How about a quick culinary escape with this Cuban Style Mojo Marinated Pork Tenderloin with Black Beans? We’ve lived in our home long enough now to where it seems everything needs repair or replacing all at once! This week it was our kitchen refrigerator. We had to have it repaired last summer, however, when a 14-year-old refrigerator needs repair, it’s trying to tell you it’s not long for this world. Anyway, the refrigerator died it’s final death this week so we had to buy a new one. Thankfully we have an old “beater” out in the garage that refuses to die so we can still store some food. With too many expenses to escape to the tropics as I would love, this easy Cuban-inspired dinner made us feel like we’re somewhere else instead! Pork tenderloin is generally sold with two per package. 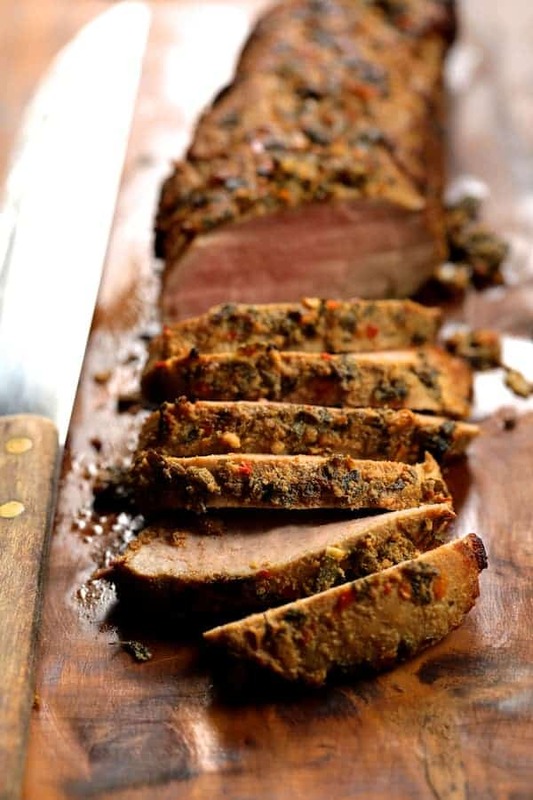 Don’t confuse pork tenderloin with pork loins; they’re two very different cuts of meat. This article at The Kitchn explains the differences. When they’re on sale, I’ll pick up a couple, then separate, trim and freeze individually in zipper-top bags. When I want to prepare one, all I have to do is thaw in the refrigerator, then add marinade ingredients to the pork tenderloin that’s already trimmed up in the bag. A quick sear and finishing in the oven is all it needs. If the weather is nice, you can just pop it on the grill! 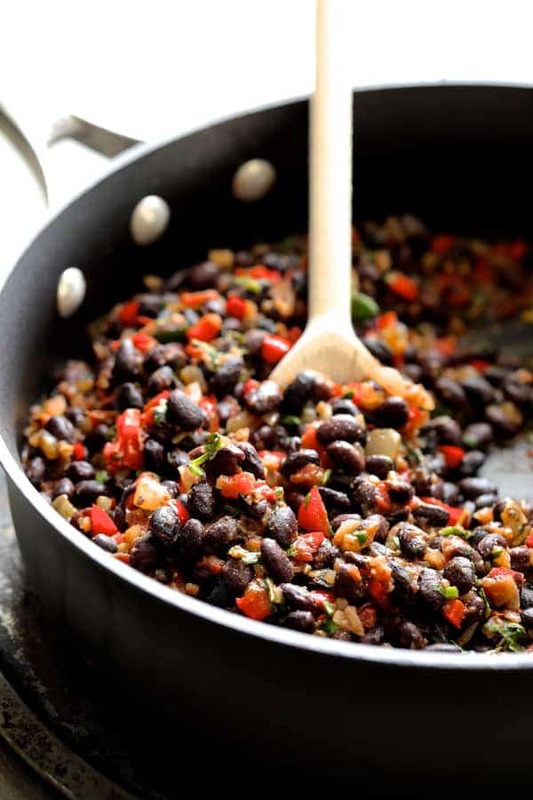 While the tenderloin was finishing in the oven, I pulled together an easy side dish of canned black beans, onions, peppers and tomatoes. That’s it! 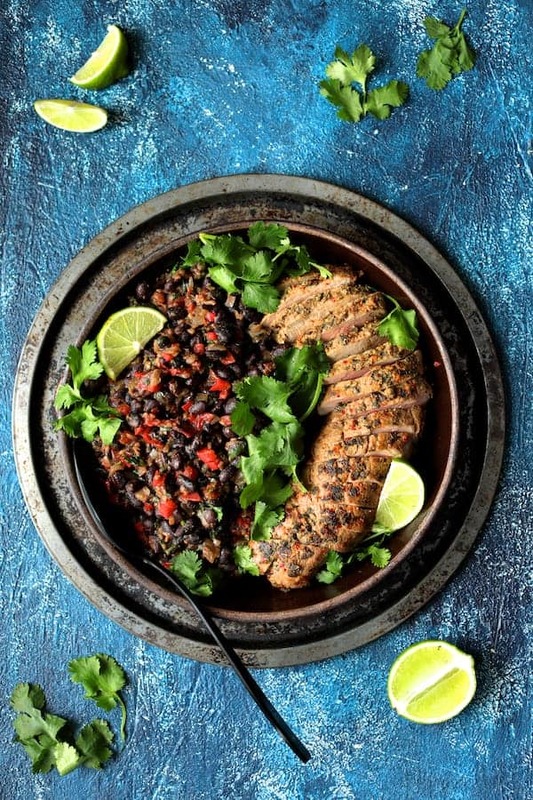 Cuban Style Mojo Marinated Pork Tenderloin with Black Beans! A quick culinary escape to the tropics with an easy weeknight dinner! You could also serve with brown rice or roasted sweet potatoes, too! 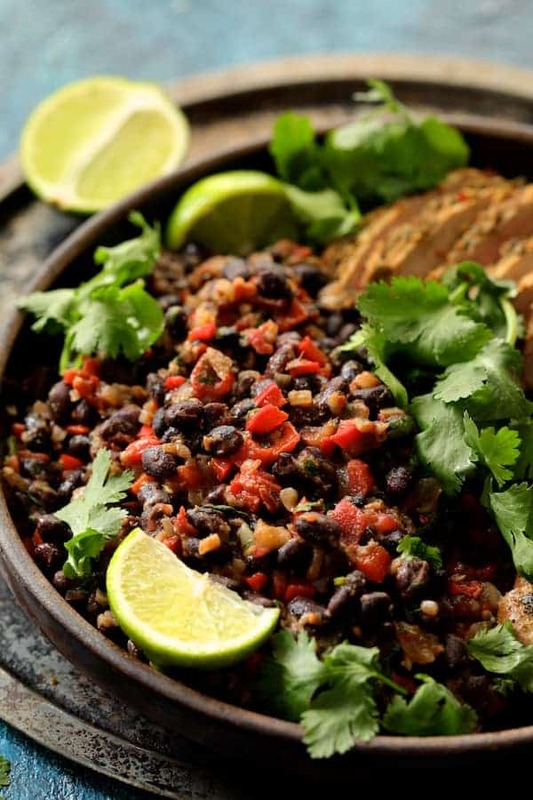 I finally got around to making this last week and it was fantastic, I had made some homemade salsa that I served with it and plain basmati rice with the beans. I just finished up the last two end pieces sliced thinly in my Cuban Sandwich wrap! Another awesome recipe From a Chef’s Kitchen! Thanks so much, Jim! Glad you enjoyed! This pork in a Cuban sandwich is a great idea!